When researchers gave the octopuses a dose of MDMA similar to what a human would take, their personalities did a complete 180. Tom Kleindinst/Marine Biological LaboratoryA California two-spot octopus at the Marine Biological Laboratory in Woods Hole, Mass. Researchers gave the party drug MDMA, also known as ecstasy, to octopuses in the name of science – and got some startling results. 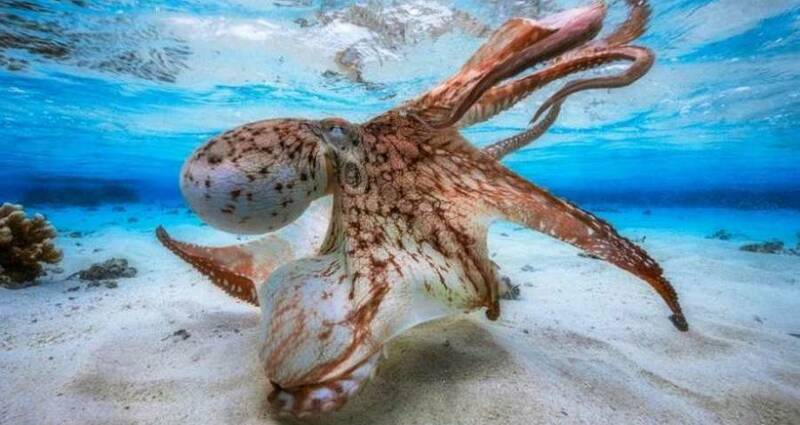 In a study published in Current Biology, scientists revealed that when octopuses are given MDMA they react pretty much the same way humans would. 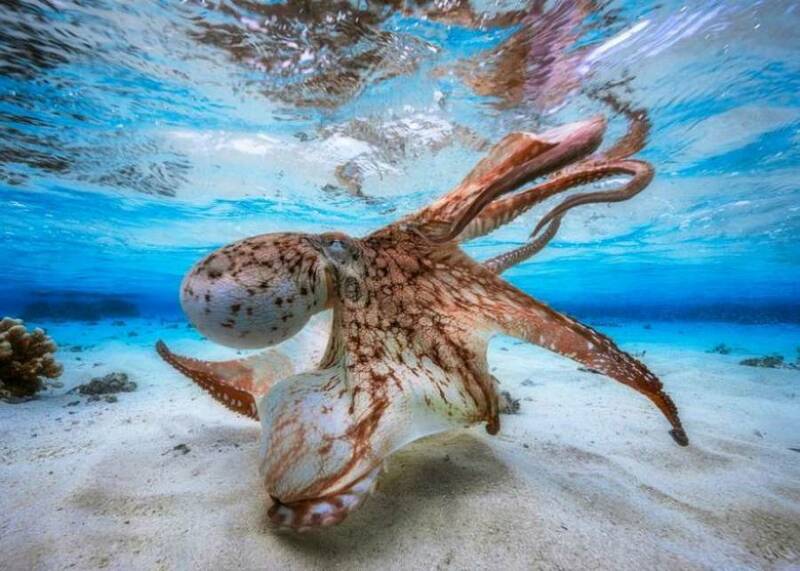 This is surprising partly because octopuses are typically anti-social and solitary creatures, but while rolling, they completely transformed and became more outgoing and engaged with other octopuses. In humans, the party drug MDMA changes a person’s perception and elicits a feeling of euphoria. The drug sends a wave of chemicals like serotonin and dopamine to a person’s brain, making them feel happier and extra loving towards others. The California two-spot octopus (Octopus bimaculoides) used in the study shares a nearly identical protein for signaling serotonin to brain cells with humans, according to NPR. 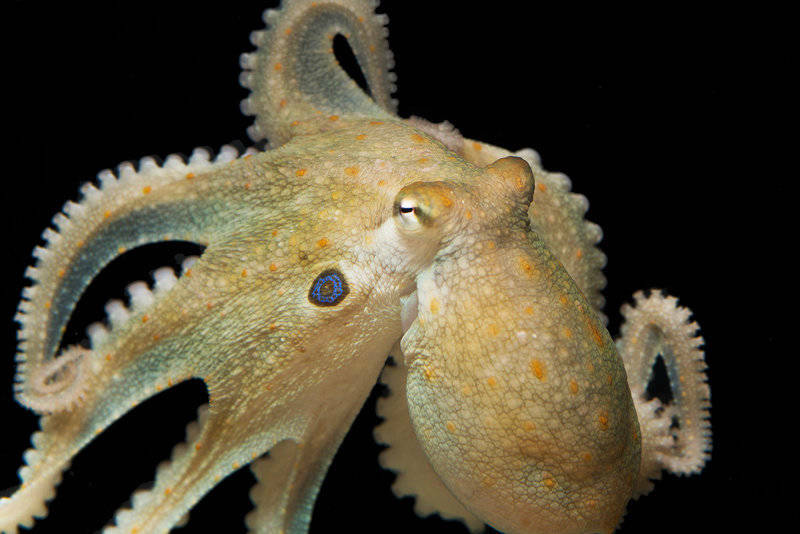 The researchers wanted to test out this similarity to see if octopuses would have a comparable reaction. “Just because they have the protein doesn’t mean that when MDMA binds to the protein it’s going to do anything like what it does in a human or a mouse,” Gul Dolen, a neuroscientist at Johns Hopkins University who came up with the idea for the study, told NPR. CBSI/CNETAn octopus in the wild. So researchers decided to lower the dosage. 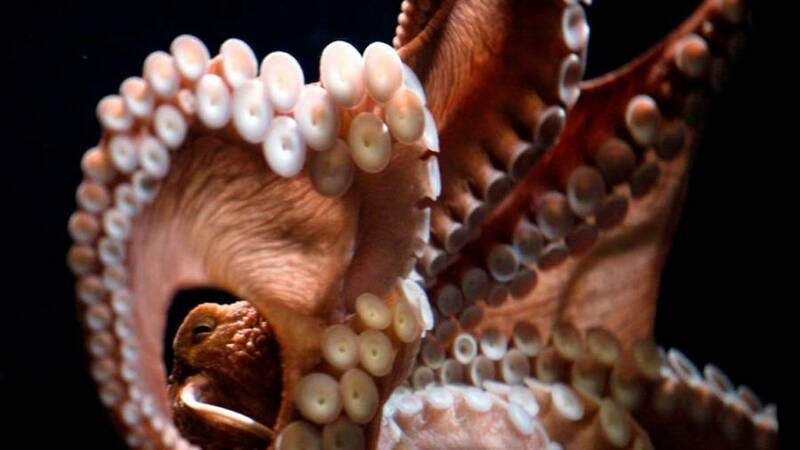 They gave the octopuses roughly the amount that a human would take and saw a startling personality switch. Octopuses are so anti-social that they usually need to be kept in separate cages while scientists study them so that they don’t kill or eat one another. However, when octopuses on MDMA were put in the same enclosure, there was no bloodshed, just love. The rolling octopuses approached their cagemate and spent a considerably longer amount of time together. They also reportedly engaged in nonaggressive exploratory touching. Basically, they gave each other the octopus version of a hug. Octopuses are intensely intelligent and are largely believed to be one of the most complex and advanced invertebrates on the planet. The animals are separated from humans by over 500 million years of evolution, though studies like this reveal a persistent similarity in our genes. Jaime Henry-White/APAn octopus showing off its tentacles. Judit Pungor, a neuroscientist who studies octopuses but wasn’t involved in the study, told NPR that the team’s observance of octopus behavior is groundbreaking. The researchers’ decision to test octopus behavior by giving them MDMA was met with some backlash because, well, they gave octopuses MDMA. However, Dolen defended her team’s decision, telling IFLScience that there is so much to learn from the animals because they are so far ahead of us in terms of evolution. While a controversial experiment, the study’s findings certainly made what can sometimes feel like an alien creature seem a little more human. Next, check out the astounding mimic octopus, one of the smartest and most adaptable creatures in the ocean. Then check out the scientific theory which claims that octopuses are actually aliens.